Through a thorough understanding of the challenges that health care systems are facing around the world, you will learn to analyse health care innovations as business cases and develop actionable skills for their design and implementation. Innovation in health care at a radical scale will be a necessary part of the solution to the structural, demographic, technological and financial challenges facing health care systems. The skills required to enable these innovations are getting more important. MSc in Innovation in Health Care is designed to provide you with powerful analytical and actionable skills in the unique context of health care organisations and companies. You will be trained to initiate, manage and implement innovations that will be necessary for the transformation that will take place at all levels of the health care systems, involving both its public and commercial parts and the important relationship between these two. Courses draw on industry experts, high quality academic faculty and real life cases. The Copenhagen MSc IHC is the world’s first full two years master’s program offered in health care innovation. Other leading universities are also beginning to offer courses or concentrations in this new field. To see how the Copenhagen program is positioned among these initiatives, take a look at this short video from Harvard Business School. 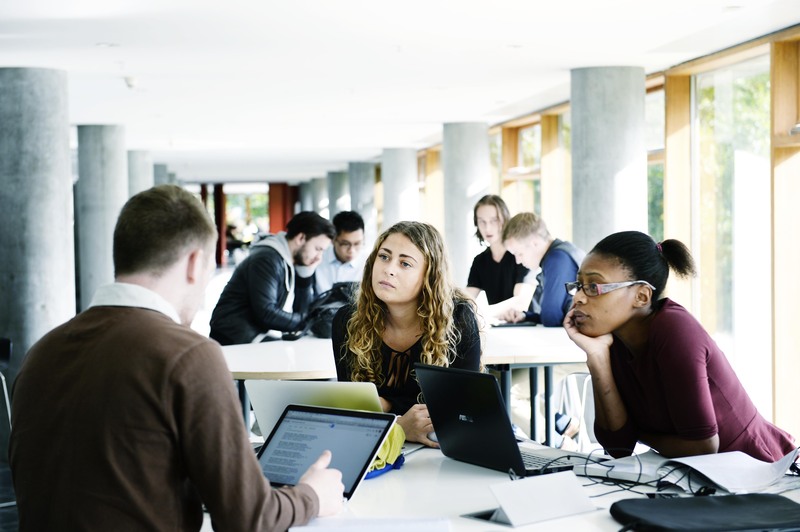 To build an interdisciplinary learning environment MSc in Business Administration and Innovation in Health Care welcomes applicants with bachelor degrees across a range of both business and health disciplines. Hear what the students have to say about the interdisciplinary study environment at the IHC program. During their two years of studies students become involved in several innovation projects with local companies, start-ups, hospitals and health care organizations. In this video students and their projects hosts talk about their experience of working together. "There is a strong need for this new degree in Innovation in health care. It is important to get health care innovation articulated and defined as a serious discipline in its own right. Currently innovations in health care are too often handled by enthusiasts lacking relevant specialized managerial skills. From this we get results that are a far cry from what could have been achieved with more professionalized staff. " says Ian Røpke, Programme Director, Copenhagen Municipality. The first 1 ½ years of the programme are structured as quarter semesters (Q 1-6). Q 5-6 offers a choice between 2 elective tracks. Part of these tracks can be taken at partner universities abroad. The final thesis project is carried out over the last 6 months of the programme. The IHC program has been developed and is delivered jointly by CBS and the University of Copenhagen (Faculty of Health and Medical Sciences). MSc IHC is accredited not only by the Danish Government by also by EIT Health. The MSc IHC program has obtained EIT labeling.